Sharpley Golf Centre, County Durham is an 18 hole, par 71 (5901 yard), private, inland links golf course. Visitors: Sharpley is the driest inland course in the North East, unique soil, drainage and construction and has never lost a day due to rain yet. Society bookings for 2018/2019 are now being taken. Book for May & June 2018 every 12 players 1 goes free! 404 ratings & 222 reviews on Golfshake. Ranked 240 out of 2074. What the club says: Set in beautiful rolling countryside and boasting panoramic sea views, Sharpley Golf course is an absolute pleasure to play - it is challenging Par 71 and has many unusual water features and established greens. The course has been designed with input from three top architects and shaped using an experienced team, over a number years and therefore has an established feel with greens built to USGA standards. The Head Greenkeeper Richard Hood boasts over 25 years of experince and is committed to Sharpley. An extensive drainage network built into the course boasts the newest technology, meaning whatever the weather, the course will be in the condition golfers expect, day to day, season to season. Nice course with some interesting holes. Greens in "ok" conditon! Excellent course in fantastic condition. Not particularly long but still challenging with some interesting holes. Great little clubhouse with friendly staff & stunning views over the North East coastline. Always a good bet in the winter as it drains so well. Growing into a great course, greens always tricky, but fair. Clubhouse is great and the staff are always welcoming. Course in great condition, greens very fast unfortunately we were held up on every single hole due to some society member visitors taking well over four and a half hours for our round. Foursome in front of us could hardly hit a ball yet played off white tees, spoilt the day for me . When we got back to the clubhouse waited over fifteen minutes in queue for a coffee but left as still six in front of us with people giving those in the queue more orders, SHITE. Great course and a real challenge in the wind. 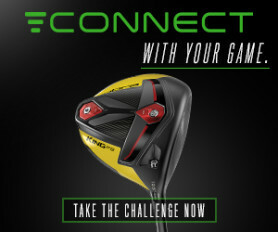 Up hill and down dale this will test every club in your bag and will be a differnet challenge when the wind is up and down. Excellent course that accepts payment on the day. you will need to book as it has become very popular. Fairways really good and not brown like some others at the minute. Greens good. Very quiet so a lovely quick round of golf. Love this course. Some amazing and challenging holes. Always in perfect condition. Another visit to this wonderful course, play a lot better this year, cant wait to play it again. Highly worth a visit. Always playable at any time of the year. I love this course, even though the greens can keep you awake at night, lots of borrow. Well wirth a visit. An early’ish start so not many on the course, which was as normal in excellent condition. We have played the course a few times and will be playing it a few more before the end of the year.